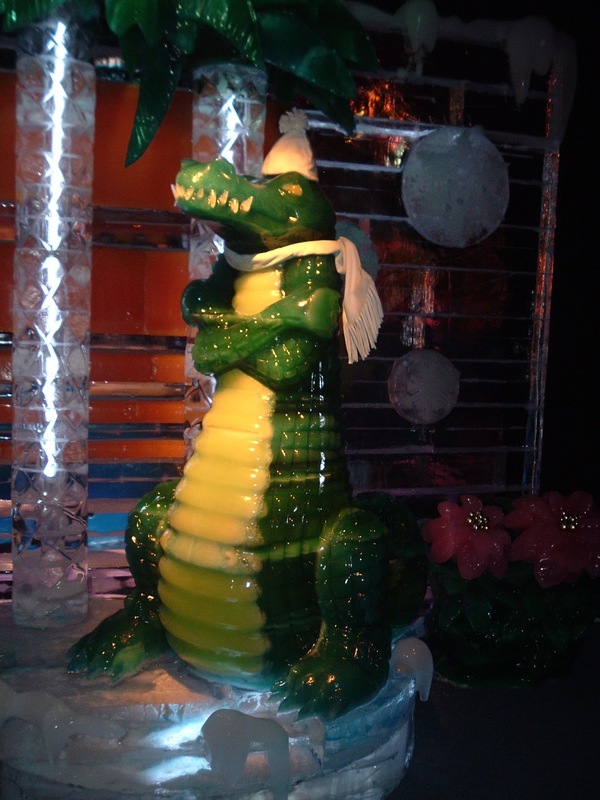 Gator carved out of ice. So, I want to know what they froze to get that color scheme! It's cold and it's freezing. He'll catch a cold later. Ha! I love that, Philo!